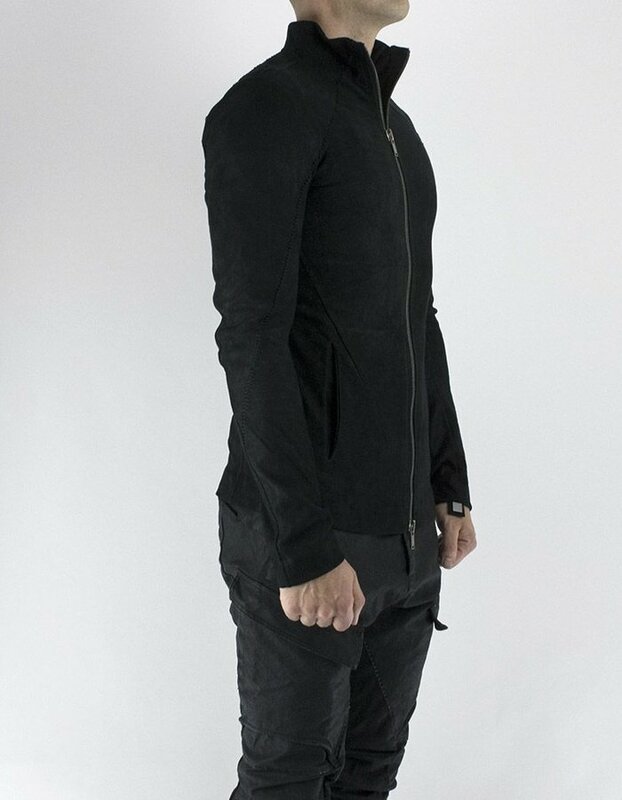 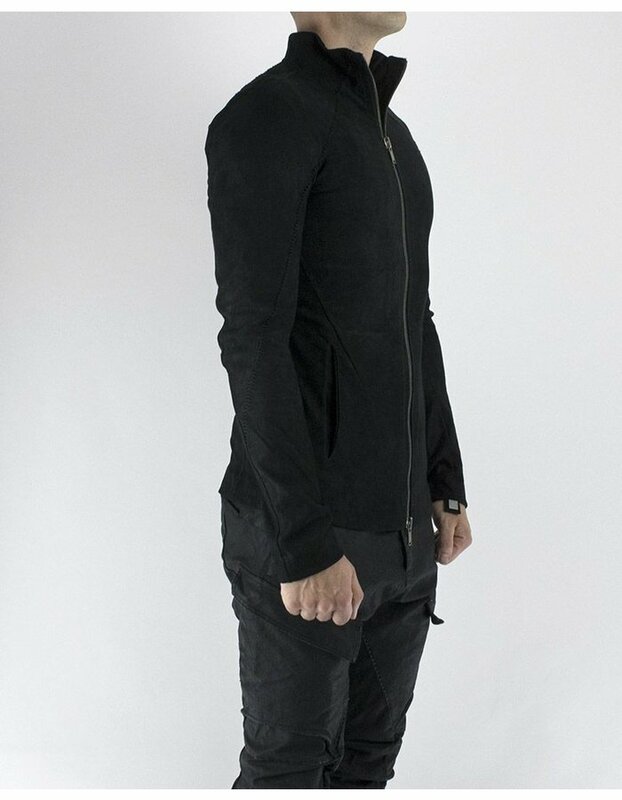 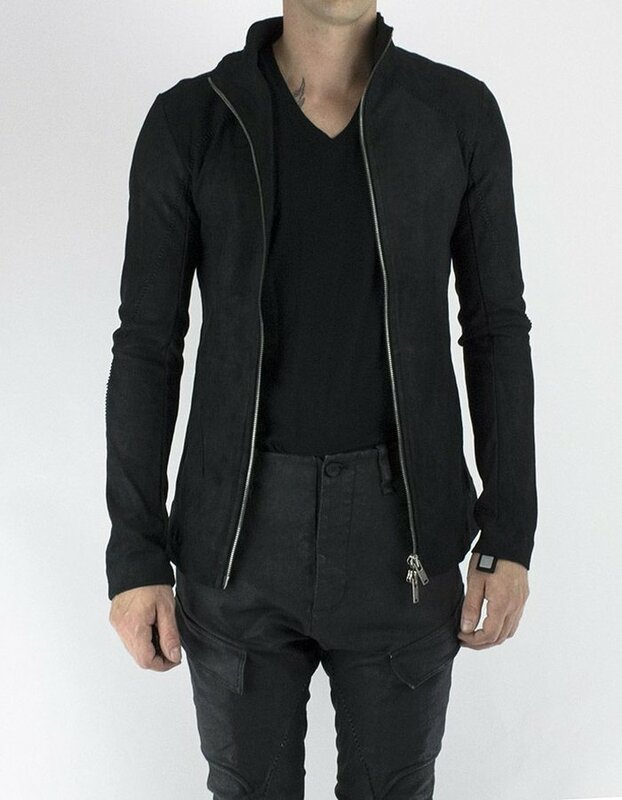 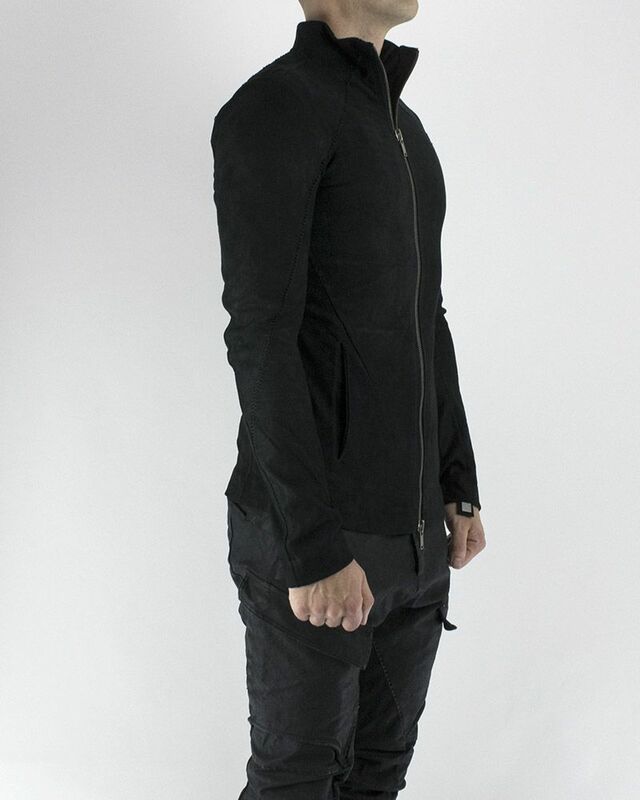 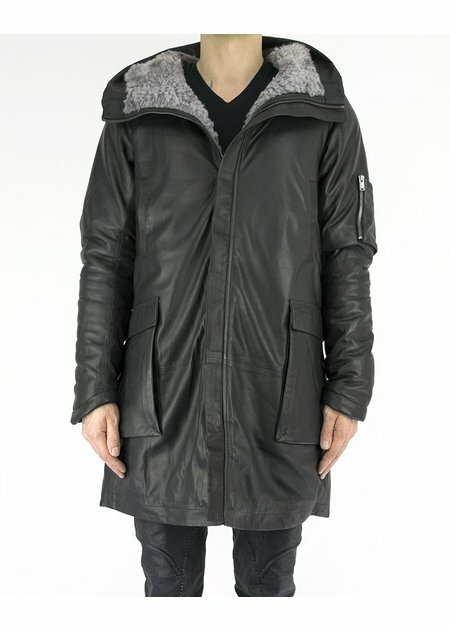 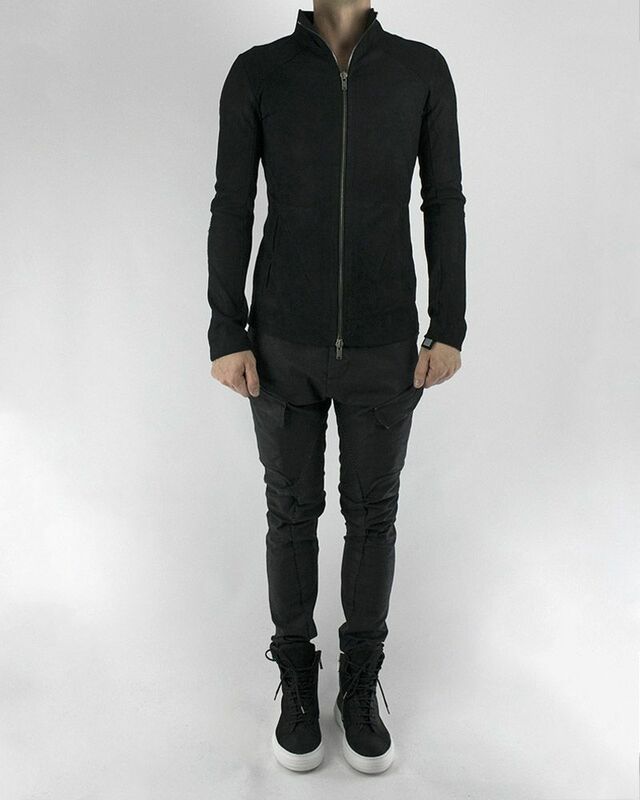 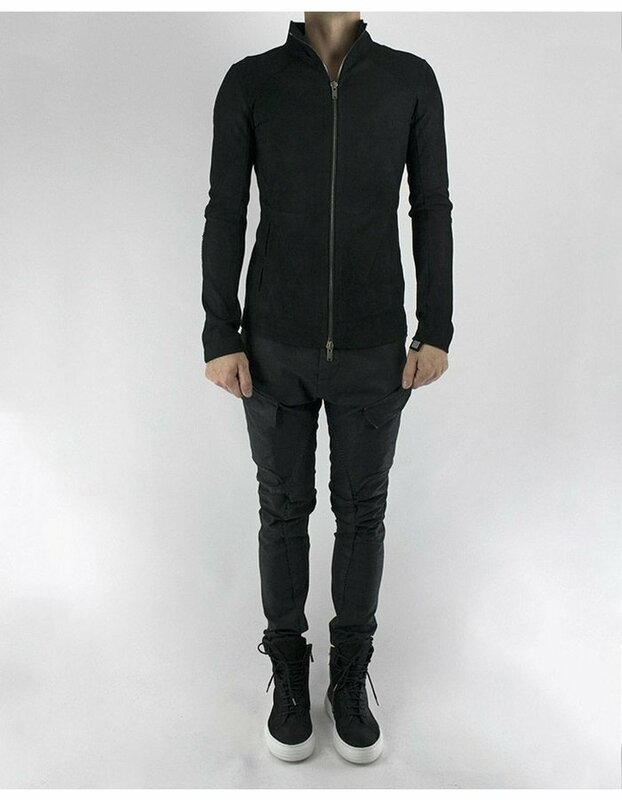 High neck zip front leather jacket in “aged” leather. 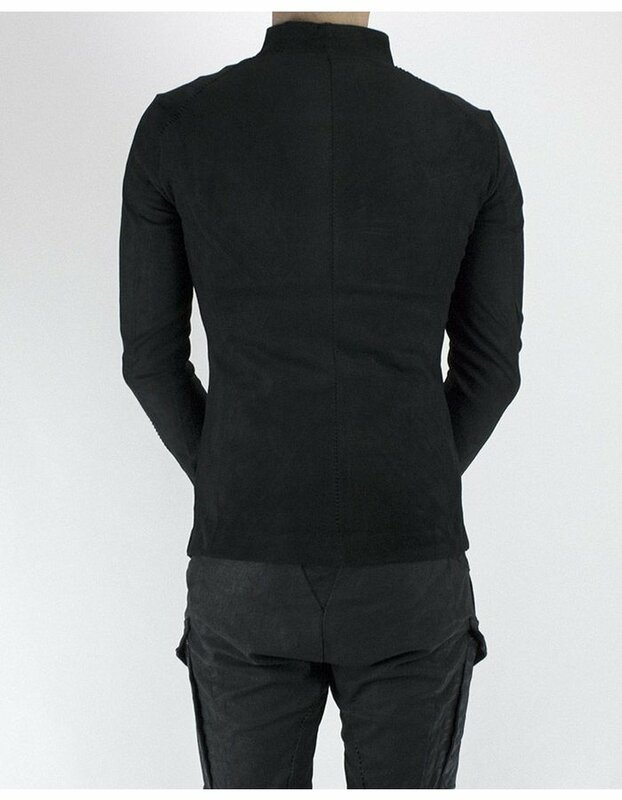 Whipstitch detailing. 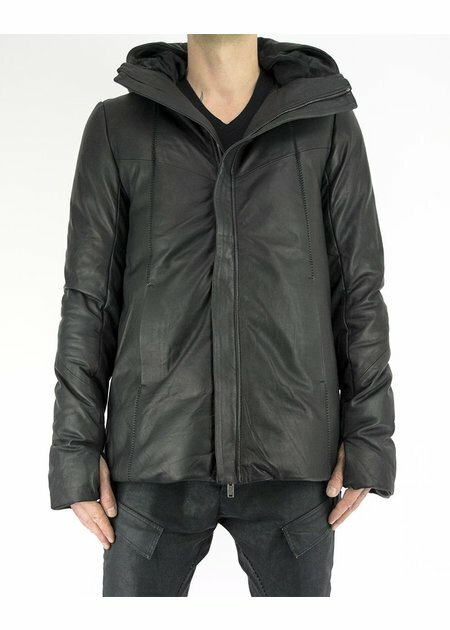 Leather has a rough and rugged appearance.